Does Your Business Need Custom Web App? Successful businesses are flexible to the adaptation of improved technology and the growing needs of the target audience. Almost every industry has been exploring the online world as it is quite evident in our present world and the coming future. Whenever any business starts their presence in the market, they commence their online journey with the mandatory ‘website’ development. But we always wonder if this is enough for the success of your business? As your business starts expanding, the ideal thing is to create a system which would simplify the process of working and increase the amount of productivity. This system is famously known as web application development which further breaks down into a standard web app and a custom web app. A standard web application is developed to fulfill the common needs shared among the variety of businesses. It is a great solution for straightforward businesses with the minimal requirements of an online solution. On the contrary, a custom web application is a bespoke tool catering to the specific process and activities of your business which makes it a unique solution to each and every business set up. Custom web app development has also proven to be easy on the pocket in comparison to the standard web application. A standard web application does not support the core of your business agendas and still be an add-on cost for the basic activities. How does a web application simplify things for businesses? In a broader picture, a web app provides solutions to the users, the business processes and the data management. Firstly, business flourishes when the user engages with the application and keeps constant interaction. Secondly, the custom business web apps are designed to simplify the work processes and understand the logical viewpoints to enhance the final goal achievement. Lastly, the data management applications focus on the crucial aspect of the success of the smooth business as it helps you track your customers or clients, activities and loopholes. This tool leverages to store, incorporate, edit, and retrieve data in a proper manner. What is the importance of a custom web application for business? Organizations are involving the enormous amount of efforts in modifying the web app tools to improve the customer experience and create an engaging and intuitive application surfing. It does not only enhance the customer experience but also improves the sales and marketing value of your brand. Let’s explore more about having the custom web app in your business. Improved Productivity: Web-based data management leads to systematic data control and organized processes. It offers result-oriented, cost-effective, and time-saving tool to gather, secure and distribute information. This also leads to automated business processes and improving productivity. Easy Accessibility: Web apps are easily accessible using internet on the web browsers and can be availed despite the location or the device type. This feature makes it easily portable and accessible application. Moreover, web application doesn’t require the installation of any kind of software in the system which makes it beneficial and cost-effective for the businesses. Secured Data: Data sharing is mostly done in an encrypted format to secure it from copying or leaking outside the organization. This makes custom web apps more beneficial and secure for data sharing than any other apps. Web apps need a login account for the user to access the encrypted data. Data Sharing: The web application allows business users to use the custom platform for sharing the data despite the geographical location. Many global organizations could afford to expand their business due to the help of web apps as they could exchange the information and keep uniformity using these apps. Cost Effective: Web apps have no installation cost and take less time in implementing. Web apps are an ideal solution for the startups and smaller firms with the limited financial budget. Companies save further training cost for remote employees as it can be organized using custom web apps. Scalable and Compatible Web App: No matter how amazing the web application idea sounds on paper, if it doesn’t work effortlessly within the actual program or platforms, it is useless. Despite being a startup or a bigger business, you always look forward to an application which can function smoothly across different platforms. 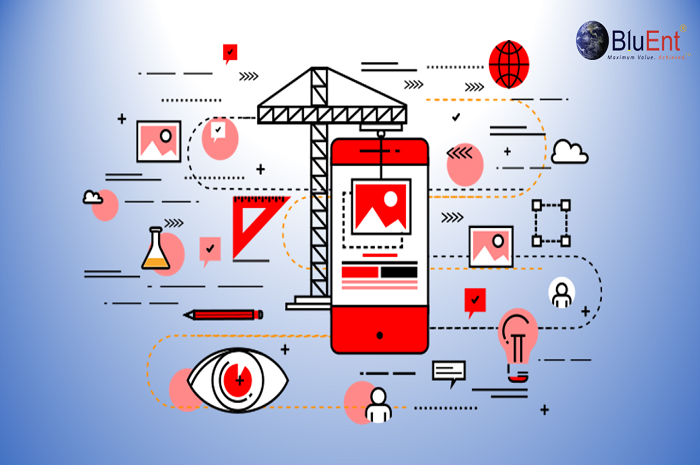 This signifies the fact that hiring an experienced custom web app developer become the need of the project and developing a custom web app from the scratch also increases the probability of getting a seamless compatibility of a web app with different platforms and operating systems. Your business specific issues can be resolved by the custom web apps. This blog has given an overview of the purpose and benefits of developing a custom web application. The purpose involves the improvement of customer experience, simplifying the work processes and organized data management. BluEnt is an outsourcing company dealing in web app development services. We have a strong web application development team of custom application developers who have the right skills and relevant experience to deliver the best results. If you want to know more, contact us here. The Evolution of Web Applications - does this make the desktop apps outdated? Should you develop a web app or a desktop app?